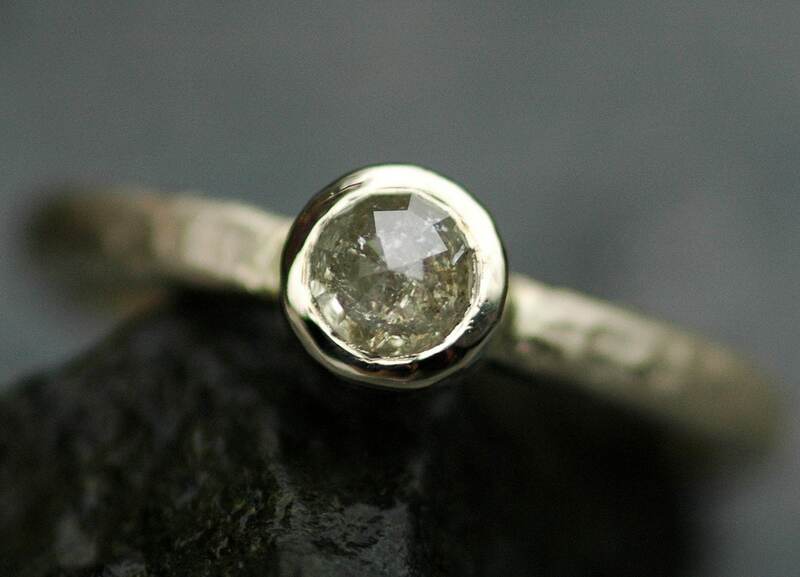 This custom ring is built around a gorgeous rose cut diamond. The diamond was purchased directly from my cut diamond dealer, who owns the factory where the stone was cut and polished. 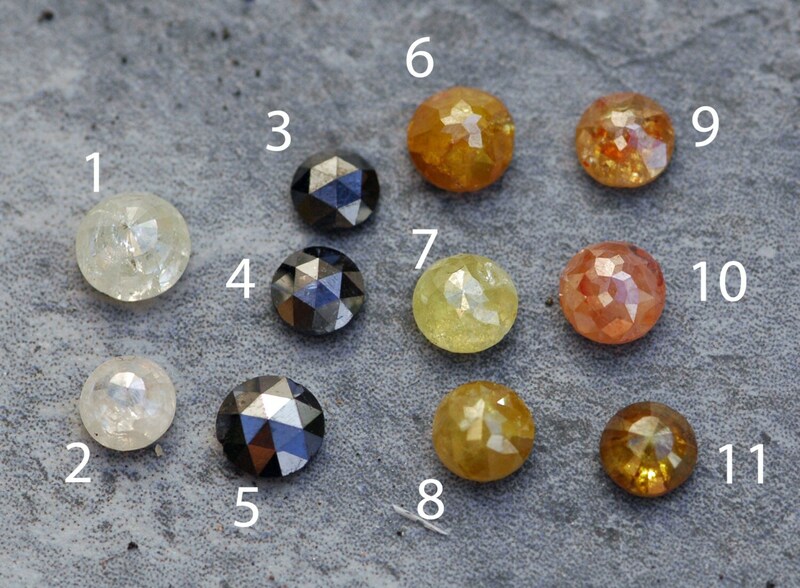 These stones are gorgeous in cut and colour, and have tons of sparkle. Diamonds are very refractive, so will show in different colours/intensities depending upon the light they are viewed in. 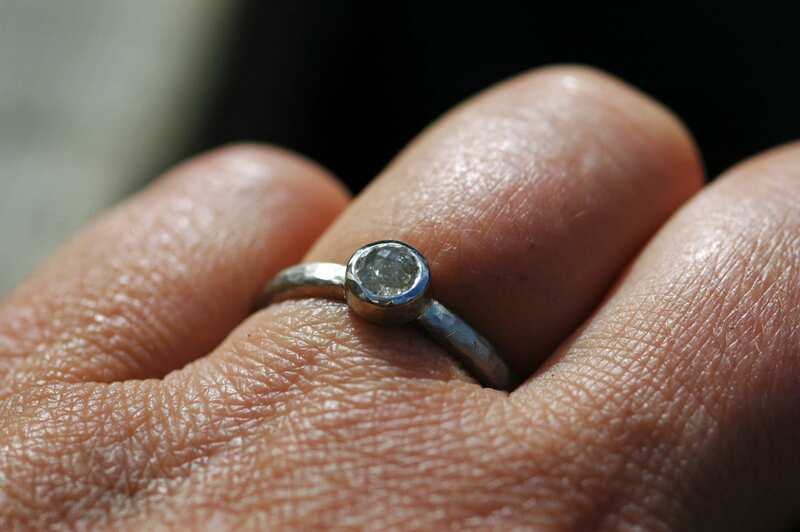 The diamonds available for this ring are in the final photo- this shot was taken in strong, unfiltered sunlight. When worn indoors, or in lower light, the colours will appear softer. The history of rose cut stones dates back almost 600 years. This antique cut is thought to be named for the compass rose, or for the rose stained glass windows seen in churches. This cut consists of a flat bottom being given to the stone, and facets that rise up the surface of the stone to its peak or crest. Please choose your diamond from the drop down menu. 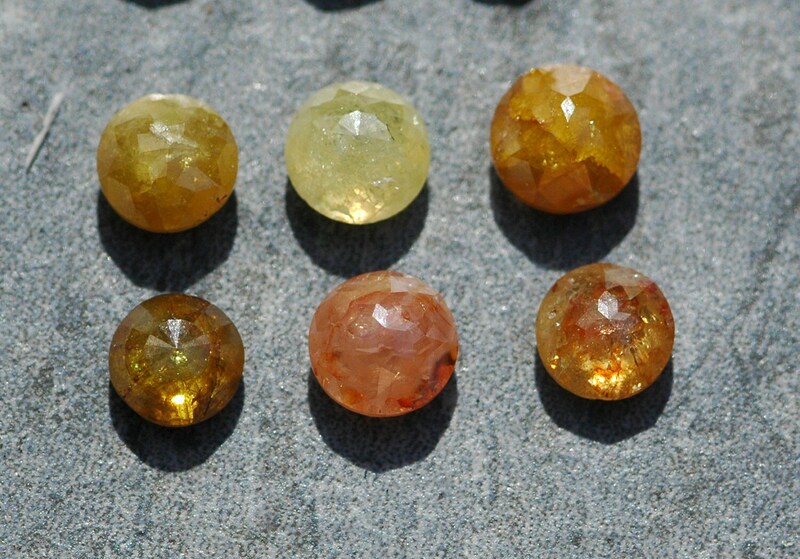 They range in size from .40 carats to 1.15 carats, and range in diameter from 4.5 to 6mm. If you would like the specific caratweight and/or diameter of any of the diamonds, please let me know. The price of each diamond is based on its caratweight- the costlier the stone, the heavier it is. 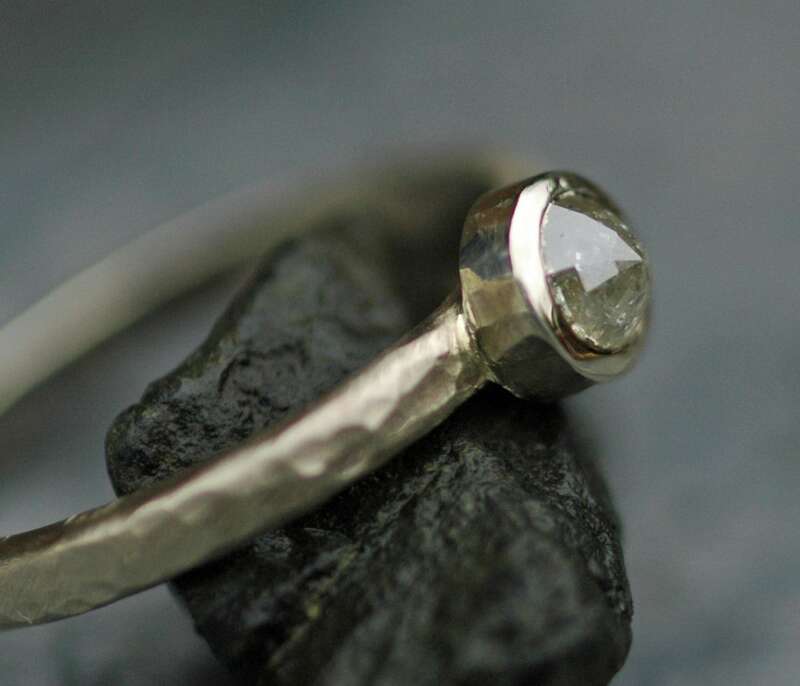 The ring is built of solid, recycled 14k white, yellow, or rose gold. It has a hammered texture on the band, and a faceted texture on the bezel (cup-like structure that holds the stones) as seen in the photos. You may choose from hammered, high shine, or brushed finish on the ring band, and may choose a smooth or faceted texture bezel. All of my gold is ethically-smelted, and is recycled by a 100-year-old American company. I never plate my white gold- you will see the warm, natural colour of white gold with this ring, not bright white rhodium plating, as is commonly added to commercial white gold jewelry. I prefer the warmth of unplated white gold, and find that rhodium plating is a high-maintenance finish- the plating needs to be redone regularly, as it wears away from the surface of the ring.